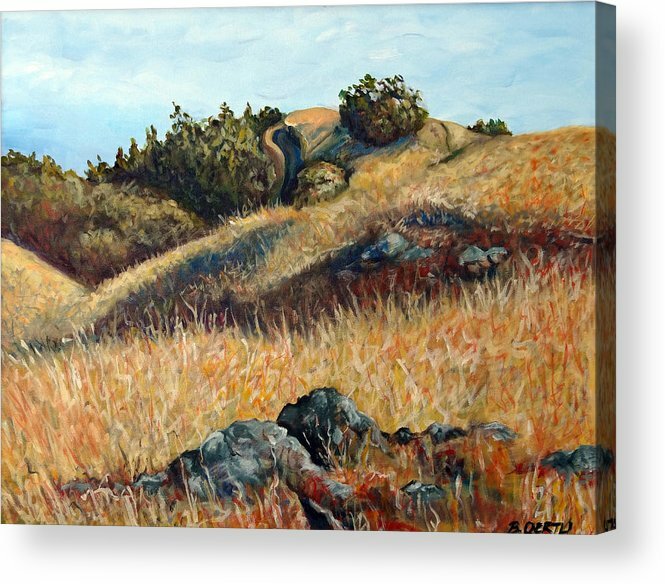 Golden Hills by Barbara Oertli - 8.000" x 6.125"
Golden Hills acrylic print by Barbara Oertli. Bring your artwork to life with the stylish lines and added depth of an acrylic print. Your image gets printed directly onto the back of a 1/4" thick sheet of clear acrylic. The high gloss of the acrylic sheet complements the rich colors of any image to produce stunning results. Two different mounting options are available, see below. There are no comments for Golden Hills. Click here to post the first comment. 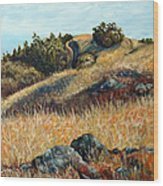 Original oil painting of hills near Mt. Diablo California in summertime. A native of San Jose, California, Barbara has lived in Oroville, California, and now resides in Dundas, Minnesota. 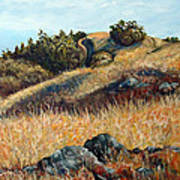 Barbara enjoys landscape painting and photography, figure and portrait drawing and mixed media collage. She holds a BA in Studio Art from San Jose State University, and a Certificate in Web Design/Development from University of California, Santa Cruz. She also attended, post grad, the Cleveland Institute of Art/Sarah Lawrence College art school in Lacoste, France with emphasis in photography, printmaking and sculpture. 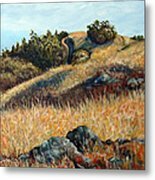 Her professional career involved graphic design and marketing communications for Silicon Valley companies. Nature is her inspiration, as well as environmental and social issues.